ALPHARETTA, GA (July 10, 2009) – America’s egg farmers, who have been continually working to enhance food safety, are committed to working with the Food and Drug Administration to ensure the egg safety regulations are implemented and the gains in food safety the industry has worked hard for are maintained. 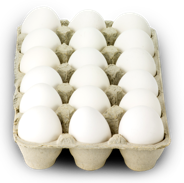 Egg Safety At the Store Choice of Eggs There are many choices for fresh or raw shell eggs available at stores today—brown or white, cage, cage-free, organic, free range, or specialty eggs like omega 3. No matter what kind you decide to buy, making sure you choose a safe carton of eggs is extremely important.